Privy is an online solution for creating subscription forms, pop-ups and landing pages. 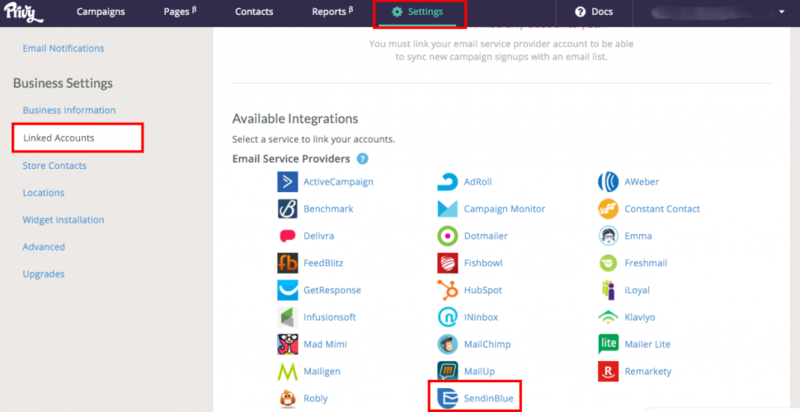 By synchronizing Privy with SendinBlue, any contacts who subscribe to a Privy campaign will automatically be added to SendinBlue. Click on "Linked Accounts" in "Business Settings" and select "SendinBlue"
Enter your SendinBlue email logon address and your SendinBlue API key (version 2.0). 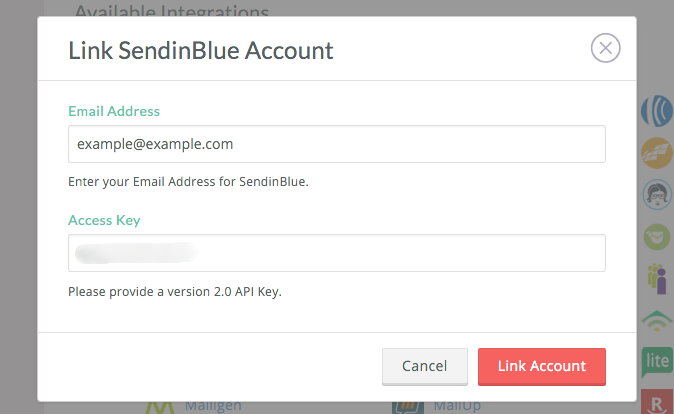 To find this key, log onto SendinBlue, go to the API & Integration page and click on “Manage Keys”, or click here. 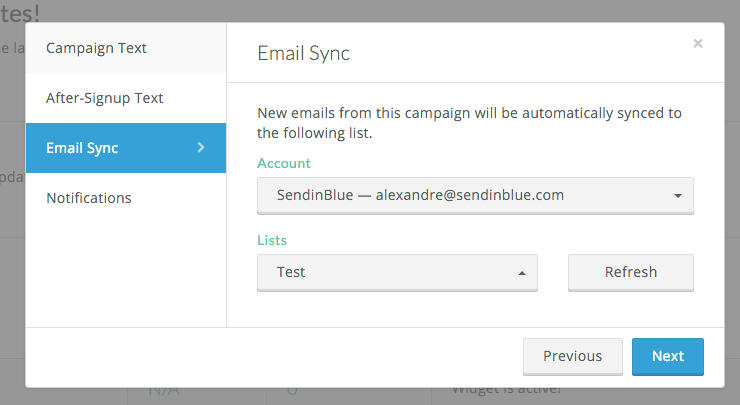 You now have to select the Privy subscription campaign(s) you wish to synchronize with SendinBlue. Each new contact will automatically be synchronized with the SendinBlue contacts list you select. And there you have it! Now anyone who subscribes to the Privy campaign you selected will automatically be added to the corresponding SendinBlue list.